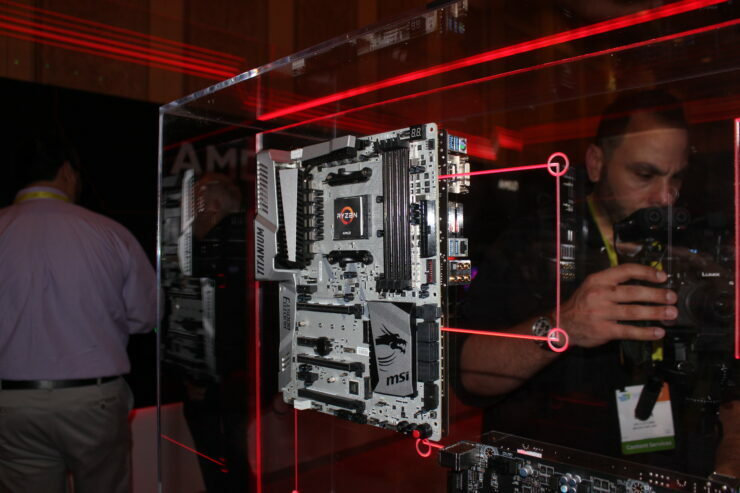 AMD just had an action-packed week at CES chock-full of announcements and demos of its next generation Ryzen CPUs and Vega GPUs. 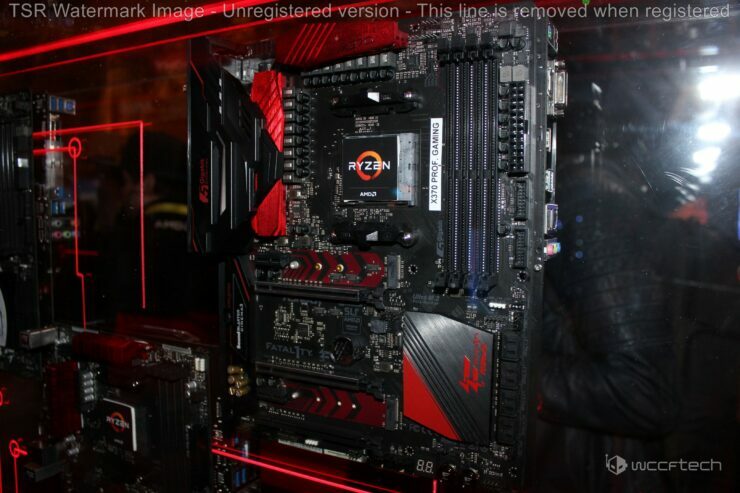 We finally got to see Vega in the flesh and learned about the architecture’s clever new graphics, compute and memory sub-systems. 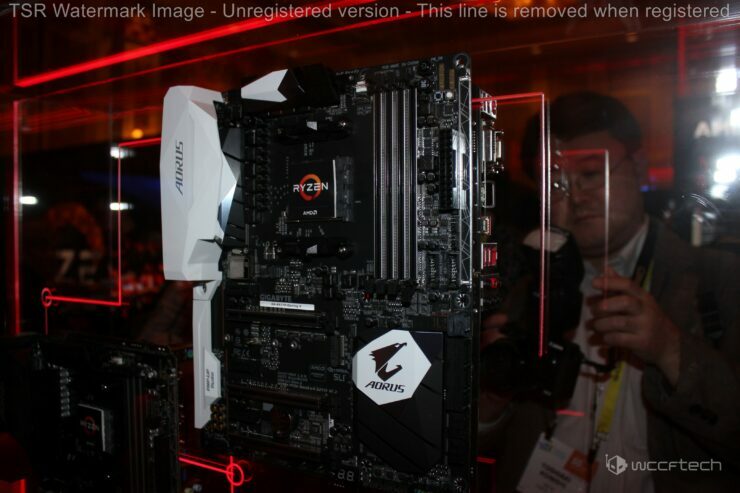 On the CPU side of the equation we got to see a plethora of Ryzen ready AM4 motherboards sporting the X370, X300 and B350 chipsets. 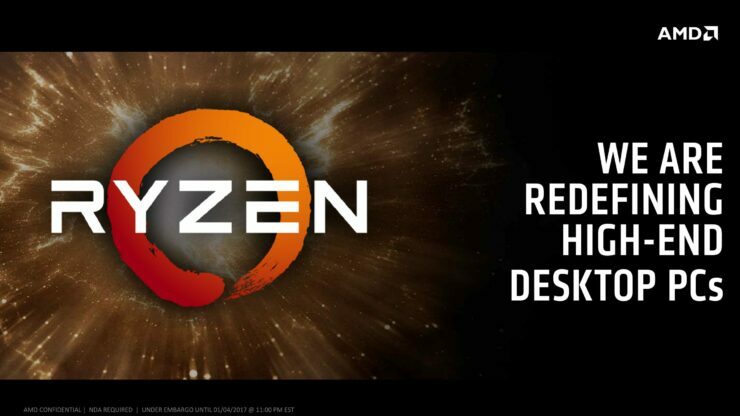 Today we’re bringing you several big announcements as well as key takeaways from AMD’s Ryzen press briefing that our own Keith May was a part of at CES 2017 in Las Vegas. 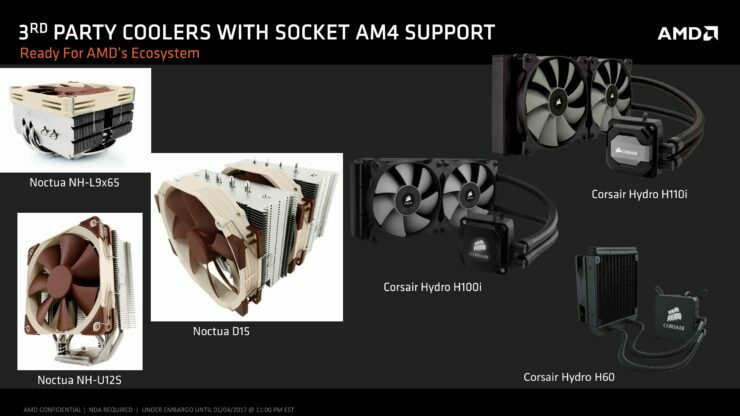 In an effort to reiterate its commitment to the enthusiast and DIY PC community AMD made a presentation dedicated specifically to overclocking on its brand new AM4 platform. 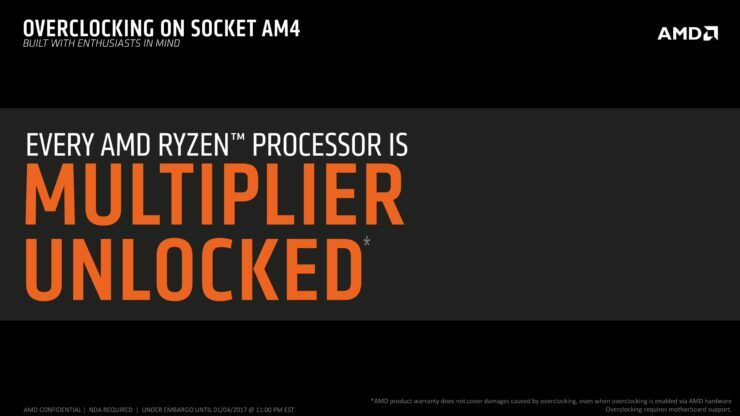 All Ryzen CPUs will be multiplier unlocked and ready for overclocking right out of the box. 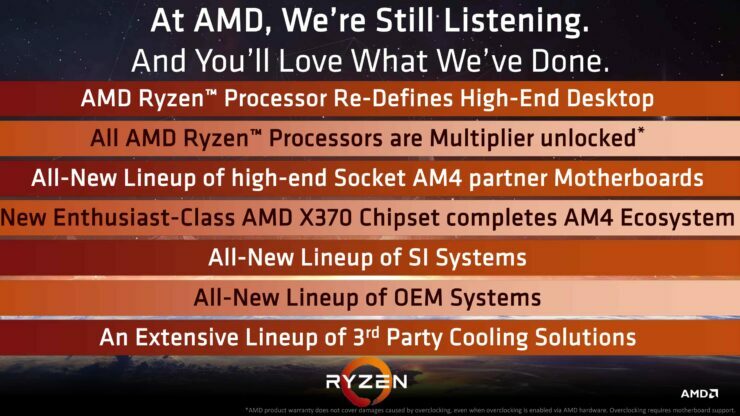 There will be no locked Ryzen CPUs. 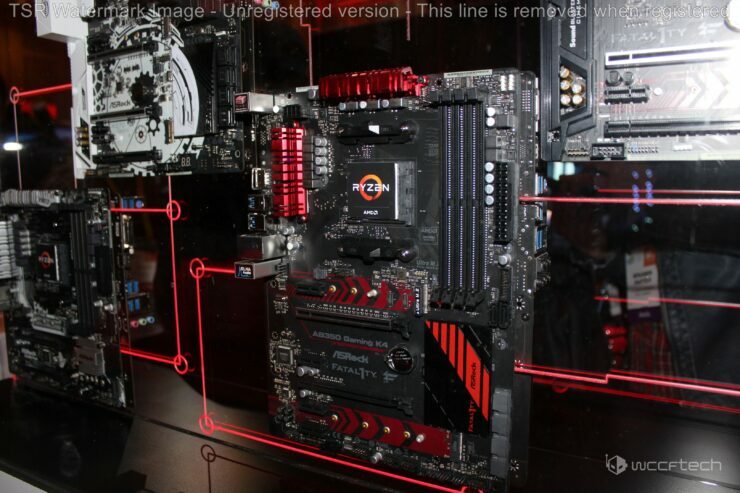 AMD’s X370, X300 and even mid-range B350 chipsets support overclocking. 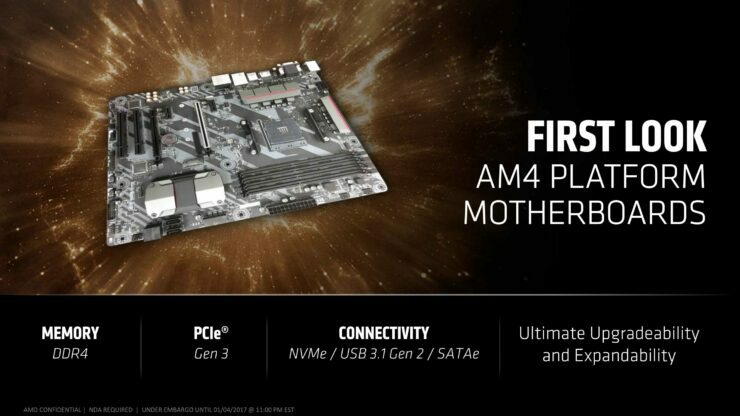 Only AM4’s entry-level A320 and A300 chipsets lack this feature. 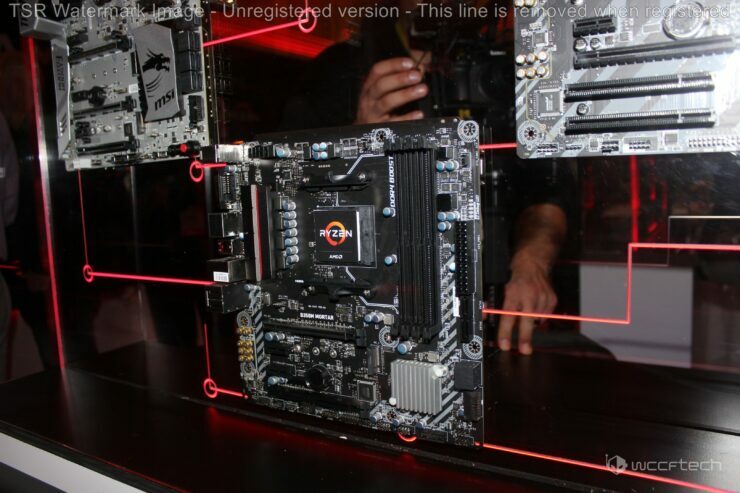 AMD explains that this is because A320 and A300 chipsets are designed to go into entry-level motherboards that would inherently be unsuitable for overclocking due to component and cost limitations. 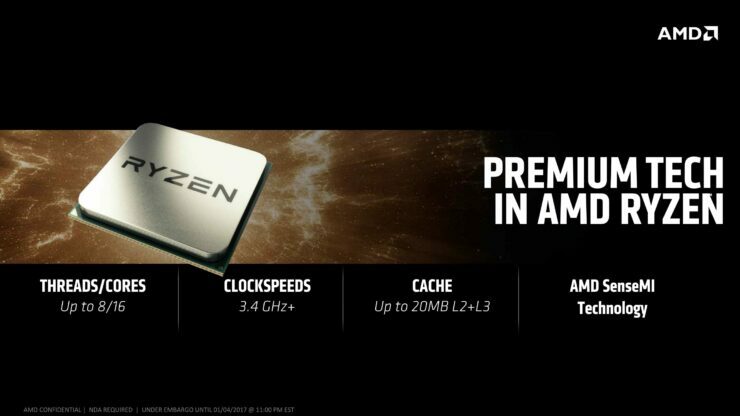 Ryzen CPUs will come in different configurations with varying core counts. 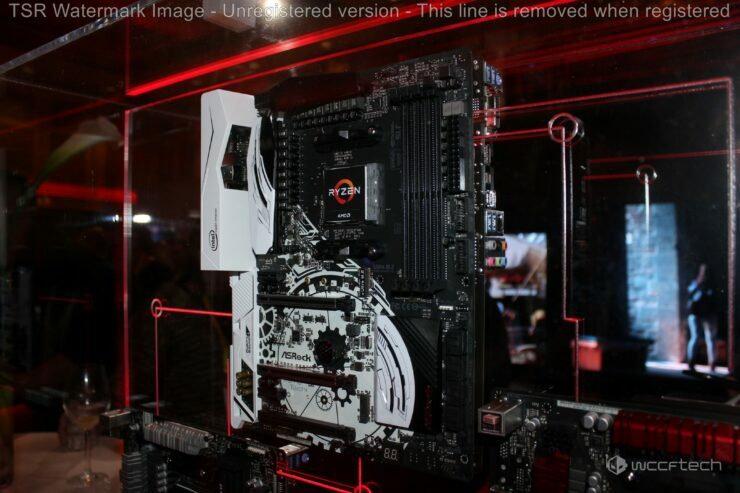 The highest core count parts will have eight cores and support sixteen threads. 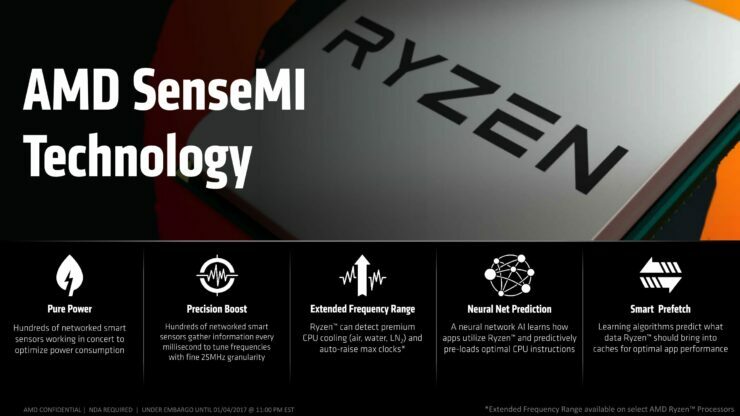 Ryzen will launch closer to the middle of Q1 or early Q1 rather than the end of Q1. 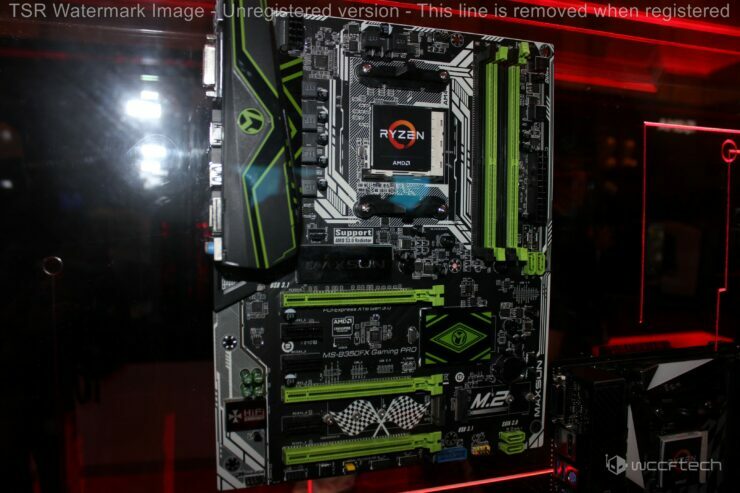 AMD wouldn’t give us a specific date but sometime in February is a good bet. 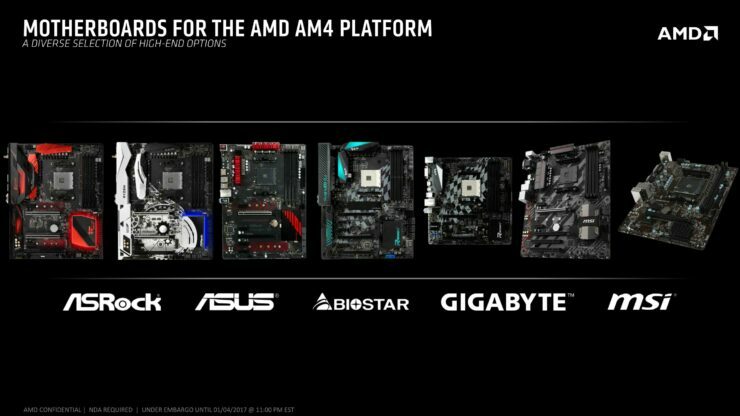 AM4 compatible aftermarket air and liquid cooling solutions will be available on day one. 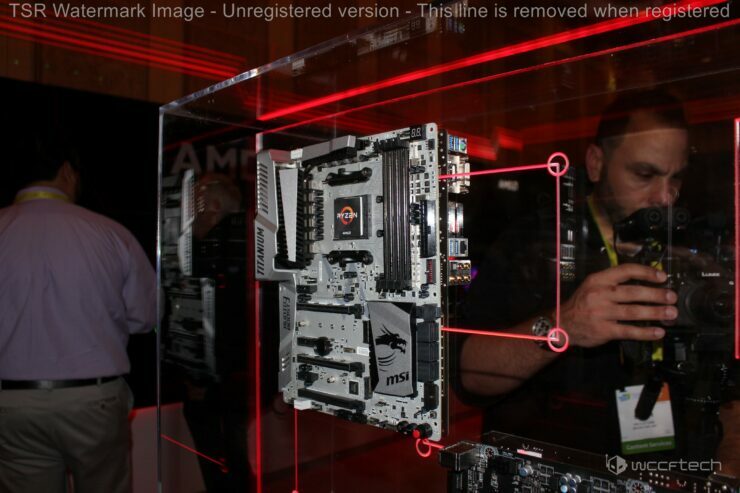 To date AMD has showcased Ryzen in 7 different benchmarks and demos where it outshined Intel’s best offerings. 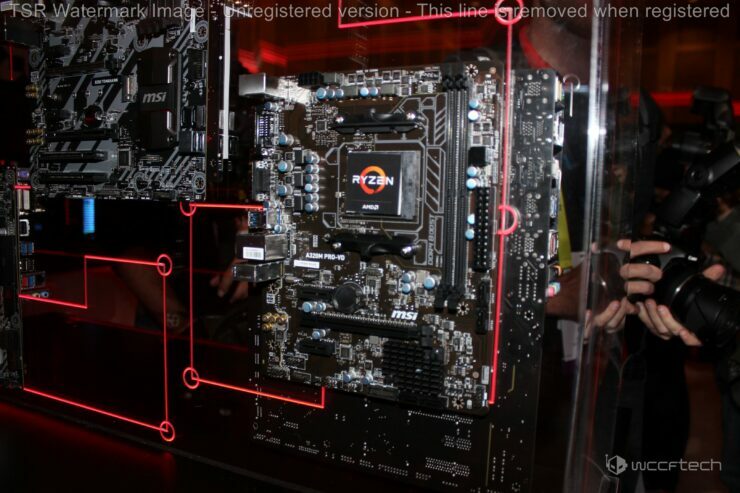 If you want to learn about Ryzen’s speeds and feeds we’d highly recommend checking out our Ryzen summary article where we break it all down and dive into the 7 different benchmarks/demos. 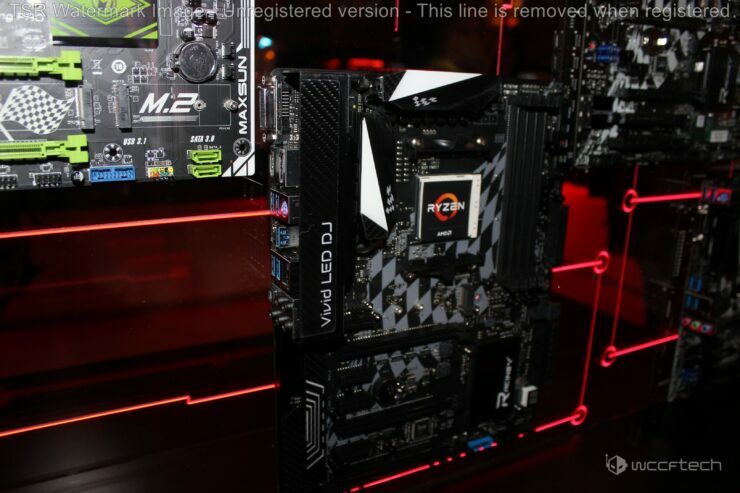 The company kicked things off at CES 2017 with a motherboard showcase featuring 18 different models from ASRock, ASUS, BIOSTAR, GIGABYTE and MSI. 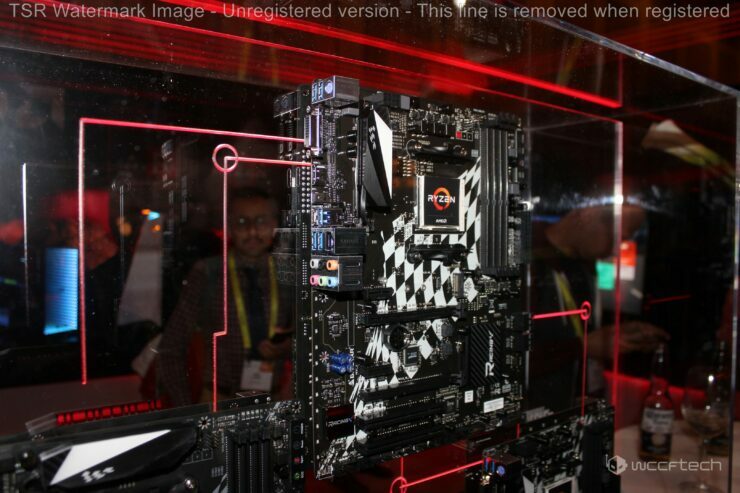 The motherboards on display ranged from high-end enthusiast class models with X370 chipsets in the heart of everyone of them to mid-range B350 based designs as well as entry level boards sporting the A320 and A300 chipsets. 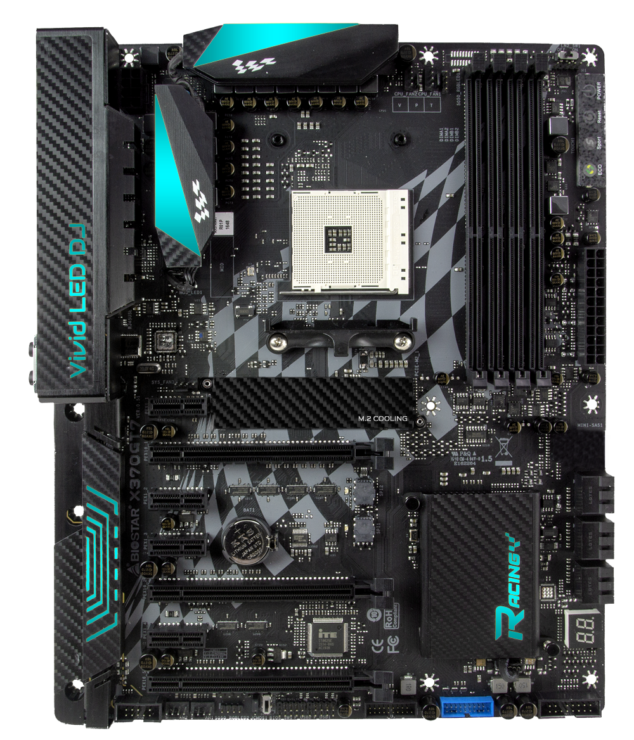 Ryzen compatible AM4 socket motherboards will come in four different chipset flavors. 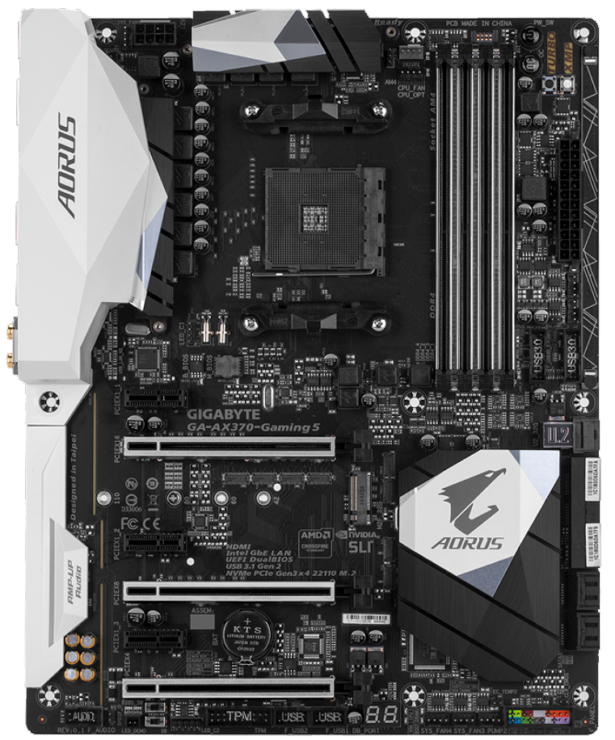 The X370 chipset is the high-end enthusiast focused contender with the latest and greatest technology and the most robust set of features. 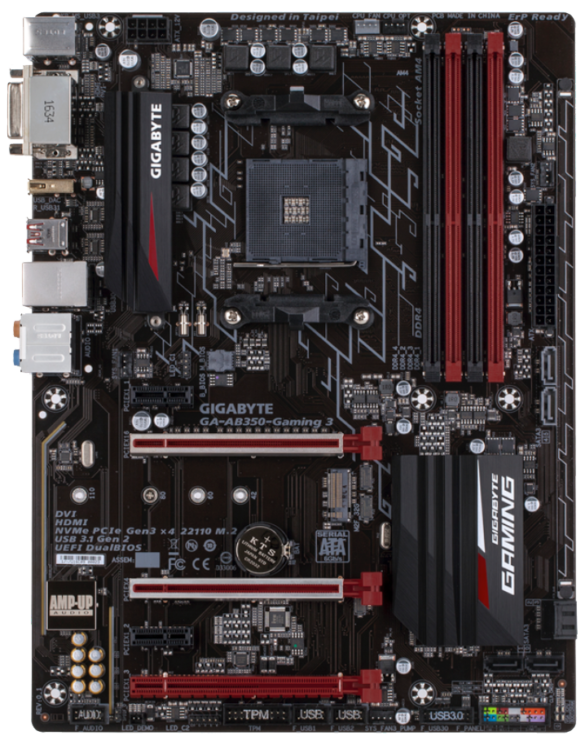 The B350 is the mid-range chipset where users will be able to get a lot of functionality and versatility at a more attractive price point. 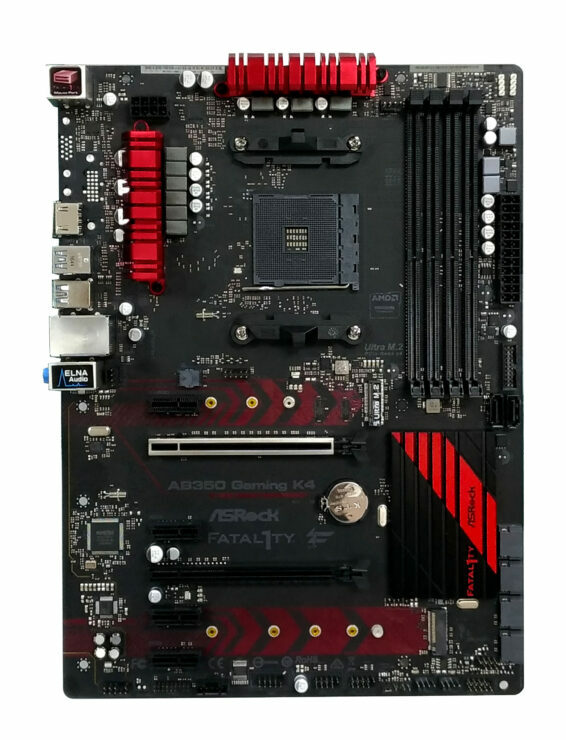 The A300 chipset is the entry-level chipset for more budget constrained computer builds. 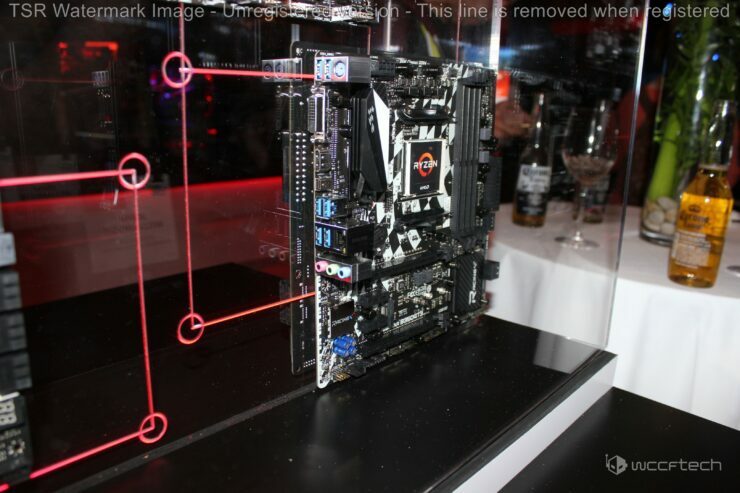 Then we have the X300, which is a new kind of chipset for AMD. 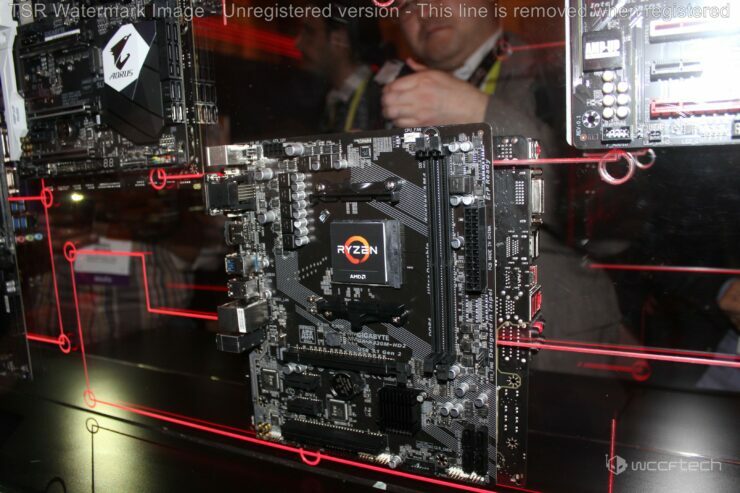 It’s the company’s high-end offering for small form factor motherboards i.e. 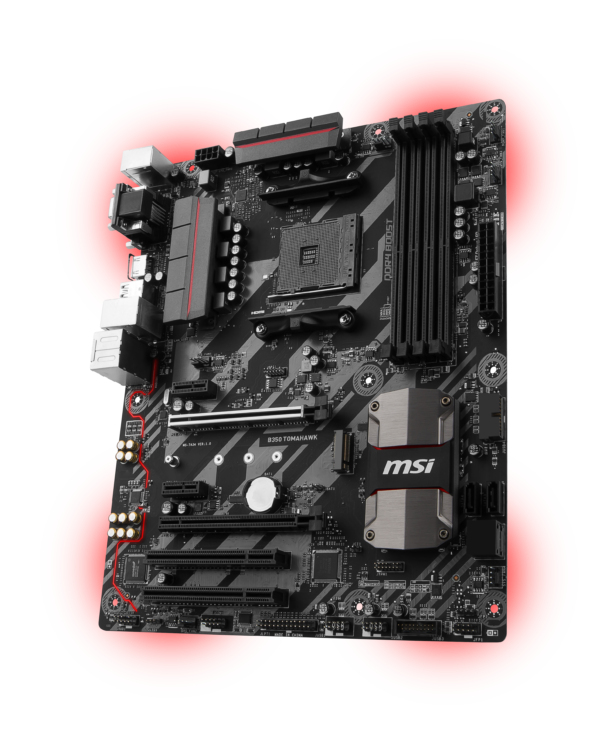 Mini-ITX and Micro-ATX form factor boards. 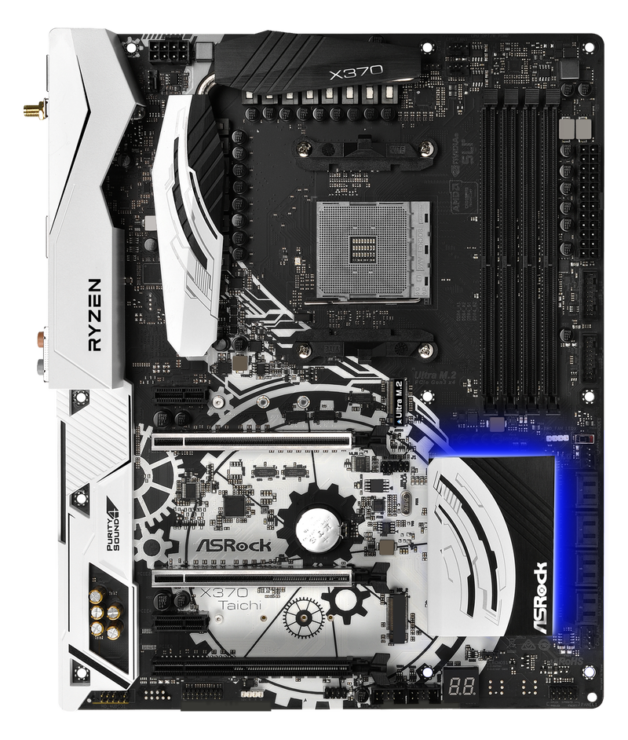 That’s right, you will be able to cram an 8 core monster ,i7 6900K class CPU, in a tiny mini-itx board and build incredibly powerful small-form factor PCs with Ryzen. 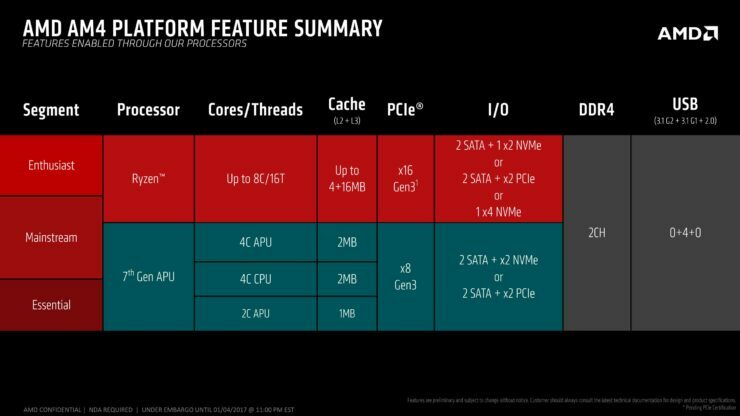 We know that many of you reading this will have already seen the demos and read up on the speeds and feeds and are probably interested in learning more about AMD’s newly announced high-end chipset. We’re pleased to say that it does not disappoint. 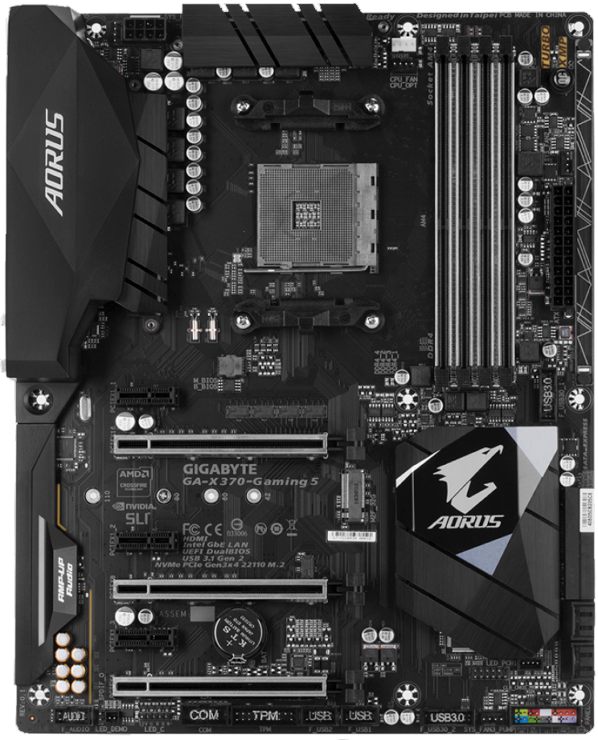 It’s a truly modern chipset with support for the latest memory and storage technologies. 24 PCIe Gen 3 lanes (from the CPU). 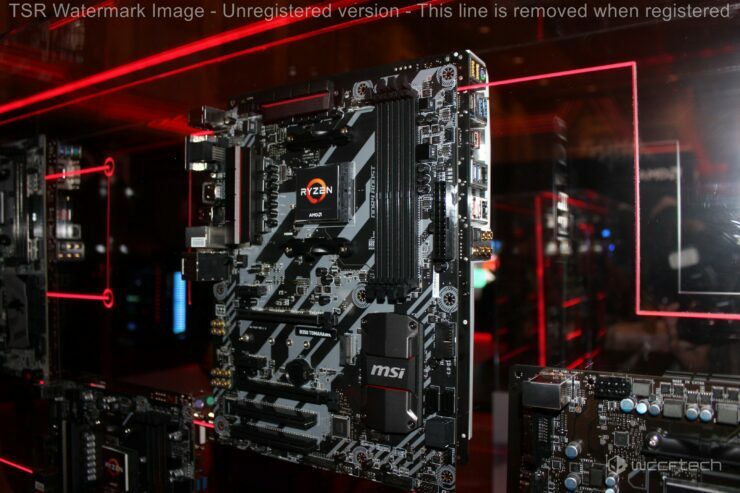 16 PCIe Gen 3 lanes dedicated for graphics with support for up to 3-way CrossFireX & 2-way SLI. 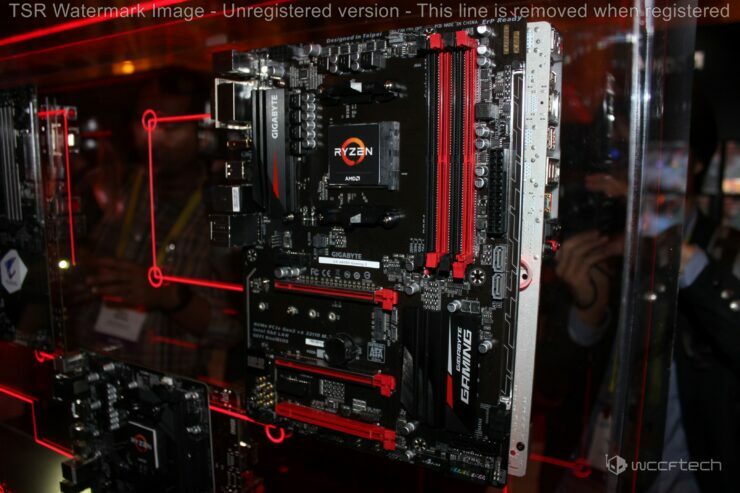 4 PCIe Gen 3 dedicated for LAN & USB3.1 Gen 2 ports. This is a huge improvement compared to the company’s current AM3+ and FM2+ stack. 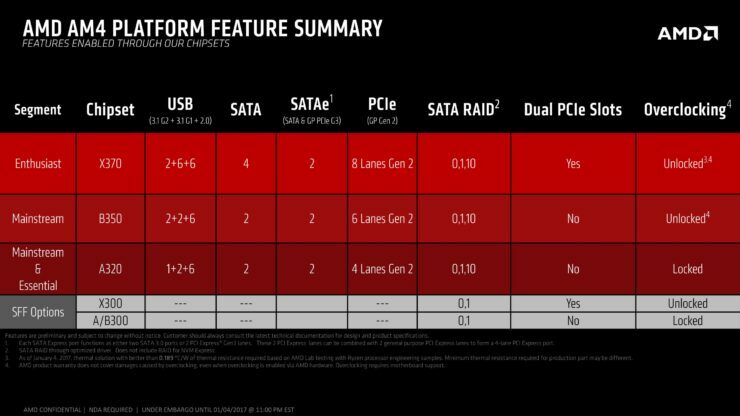 We’re talking DDR4 vs DDR3, native NVMe and M.2 support as well as USB 3.1 Gen2. 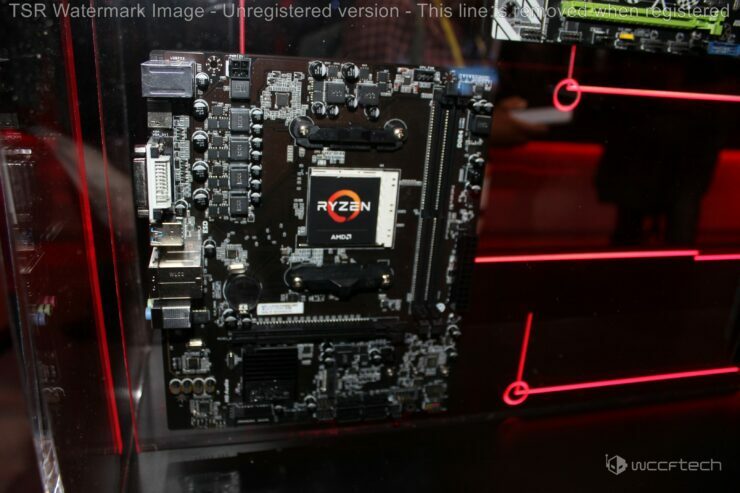 Ryzen has been one of AMD’s most eagerly anticipated products and arguably its most important one in a decade. The new CPU breaks new ground for the Sunnyvale California based chip maker in many ways. 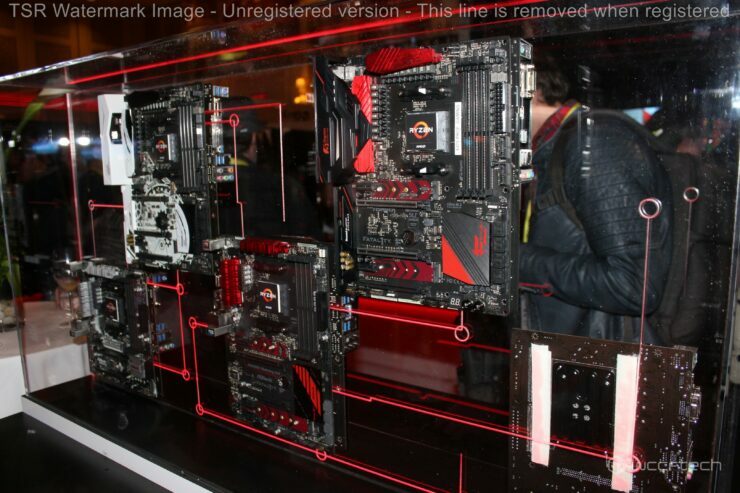 It’s the company’s first ever microarchitecture to feature simultaneous multi-threading. 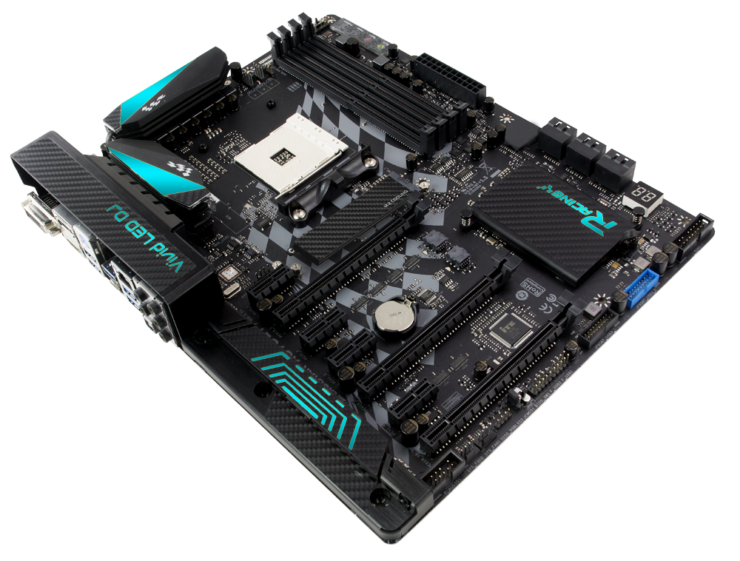 It’s built on a process technology that’s as close as ever to parity with Intel since the days of the original Athlon in the early 2000s. Lastly and perhaps most importantly, it’s incredibly competitive. Whether its performance, power efficiency or features, Ryzen easily holds its own against Intel’s best. 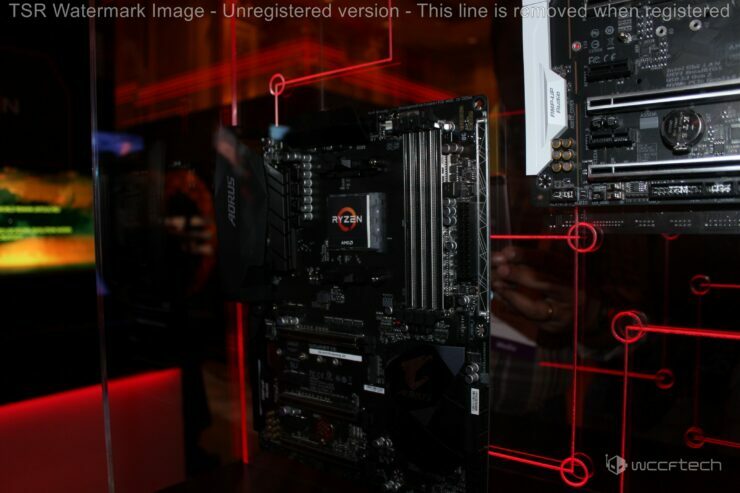 At CES 2016, exactly a year go, President and CEO Lisa Su stood on stage and said that by the same next year at CES 2017 everyone will say “AMD is back!”. Well the moment is finally here. We’ve been to CES 2017 in Las Vegas, we’ve seen it, and we’re ready to say it. 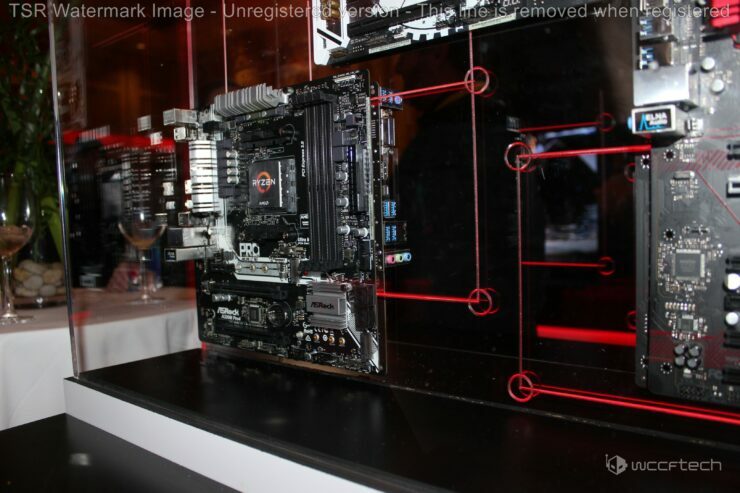 AMD is back!